Now that we've covered the introductory sections of a resume, let's discuss how to present your professional experience – where you've worked, why you were hired, what you did there, and why it mattered. This section must not only include your job duties and level of responsibility, but also your accomplishments – the RESULTS of your hard work. Shouldn't I save my achievements for the interview? Absolutely not – without exciting information in your resume, you may never get the chance. Clearly show the value you brought to past employers to help future employers make the decision to speak with you. You can always go into more detail about your achievements during the interview, but you must include information in your resume that sparks interest in the reader in order to get that opportunity. There are several different strategies for presenting your professional experience (for example, you may have heard of the chronological, functional, and hybrid formats). 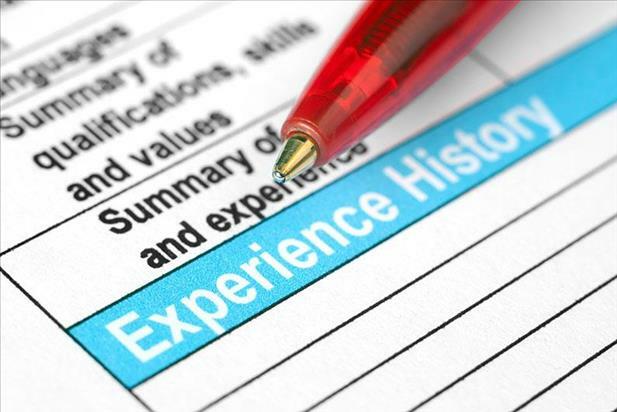 However, for today's blog, we'll look at an example of a chronological resume's professional experience section at the end of this article. 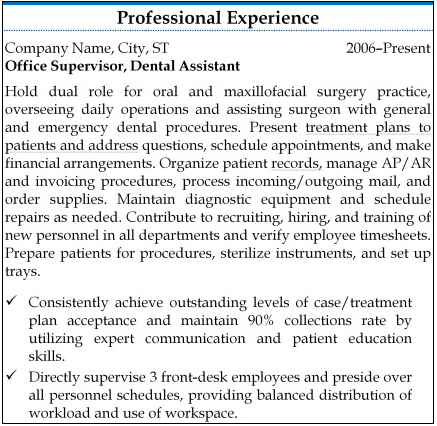 This is a great example of how to effectively present your experience – a brief paragraph outlining your daily duties followed by highlighted achievements with measurable results. See how the accomplishments are clearly separated from the job responsibilities? Using bullets ONLY for your accomplishments makes it easy for the reader to locate the details they're really looking for – how you'll positively impact operations, and ultimately, their bottom line. If you can use metrics to back up your achievements, even better. Facts, figures, and percentages speak volumes about what you can do for your next employer and give credibility to your claims. List your past positions in reverse chronological order – most recent at the top. Previous jobs must be presented entirely in past tense. Include brief company descriptions to give employers an idea of the different environments you've worked in – number of employees, industry, competitive ranking, yearly revenue, etc. Do not include the dates for previous positions that may cause you to be a victim of ageism – generally I advise going back no further than 15 years. Keep your job duties and responsibilities paragraph concise. Employers are most interested in the results of your efforts. Bullet ONLY your accomplishments so they jump off the page and catch the reader's attention. Include facts and figures to further illustrate your positive impact.